Perhaps you would like to write for Darling She but are having trouble coming up with topics you think others would be interested in. 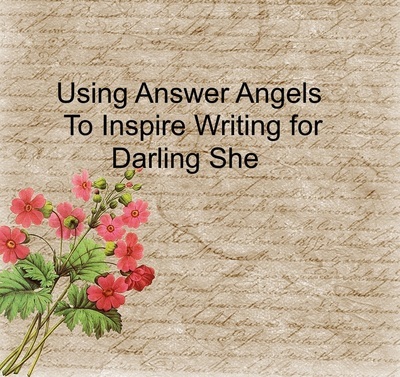 There is plenty of inspiration to be found by reading Answer Angels. The topics in the questions asked, the answers given and your own ideas will give you a wealth of things to write about. Have you ever sworn at your phone or computer out of frustration? Write an article which answers the question. You will need to give a detailed answer to make it into an article and some questions provide more scope for this than others. Pick the main word from the question and write an article about it. Write about another topic which is related in some way to the question. How could the questions listed in this article be used? 1. Do you prefer a digital or analogue watch? When I read this question I thought about the watches I own and wrote an article about Watches As Accessories. You could write about the advantages and disadvantages of one or both types of watches. You could do some research and write about the history of watches. 2. Do you often get lint on your clothes? An article about how to remove lint from clothes would be useful, likewise information on how to avoid getting lint on your clothes. You might like to write about clothes that are easy to care for. Tips for caring for clothes would be useful. 3. Have you ever sworn at your phone or computer out of frustration? Perhaps you could write about the five most frustrating things in your life. It could be an amusing article or serious. An article about ways to deal with stress could be helpful to others. Perhaps swearing really annoys you. You could create an article about other ways to let off steam. 4. Do, or did you have a close relationship with your grandmother? Here's your chance to write about your grandmother or another woman who has influenced you. You could write about the relationship you have with your grandchildren. Are family relationships important? Write your views. 5. Do you have any roses growing in your garden? This question may lead to an article on the different types of roses and which are the easiest to grow. Do you have a story about someone giving you a bunch of roses? What flowers/plants are easy to grow? 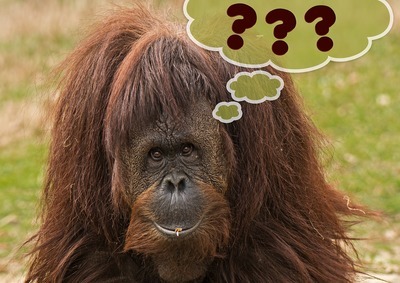 Sometimes a question will provide inspiration for an article that is useful to readers and other times you will come up with something funny. Or it could be deep and thought provoking. The possibilities are endless.